"Admittedly, as local community members, we prefer working with our neighbors whenever possible . But that doesn’t mean we don’t consider other options in order to satisfy a specific project requirement. Gasser has always provided the best quality, durability and price points, so we tend to gravitate back to previous selections. I believe the Gasser brand stands on its own, surpassing its competition, which makes it easy to rely on them for our seating needs,” says Allen. Various Gasser models figure prominently in all of the Avalon properties. A total remodel of the Avalon Inn & Resort included all 133 guest rooms, the indoor 25-meter Olympic pool, state-of-the-art fitness center, conference and event spaces. New construction introduced Gatsby's, the resort's fine dining restaurant. Allen says, "Working alongside our owner Ron Klingle has been remarkable. He has a particular eye for design, so this flagship property offered great creative latitude. I always follow Ron's lead since he occasionally strays from the architectural blueprints. Our goal, to make each space unforgettable, showcases our master carpenters' talents across the entire property. This renaissance uses many forgotten design elements to allow our timeless decor to survive newer trends. Quality, durable seating throughout must complement our design." According to Allen, renovating the Avalon Inn has "put life back into a property" that was facing possible demolition. Today, the Avalon Inn has such appealing new style that many well-known people who are traveling through the area want to stay there. "Because of our wonderful renovation results, we offer ballroom, conference, dining and golf all under one roof. Completing all this required comprehensive, strategic planning, plus the need to select appropriate seating. The right chair is crucial to creating a pleasing environment," says Allen. Occasionally, problems do occur. They could not pinpoint their vision at the new Gatsby's & The Atrium dining space. Unfortunately, their first choice was the wrong one. "We selected chairs to meet our deadlines, but didn't love them. They were beautifully constructed, but the room's strong decor proved too overpowering. We wanted to replicate a vintage era of elegant, opulent dining at Gatsby's that would complement the adjacent, open-air Atrium. The room is furnished with a baby grand piano, and professional Steinway pianist Joe Augustine offers live performances. The Gasser team's answer was to quickly redesign and reupholster the furniture. We loved the second version's layered fabric textures with black, gold and dark green color palette," says Allen. The Avalon Game Room and Recreation Center features classic arcade games. It is a "big kid's paradise" that surpasses a traditional game room. The bar and kitchenette-with refurbished LeBaron barstools-overlooks the racquet ball court. Allen states, "Surprisingly, Mark Gasser initially recommended a reptile vinyl fabric. As the room took shape, we found an alligator print that we loved for the wall covering. Mark's suggestion was perfect and now our racquet members and hotel guests are speechless upon entering the new clubhouse." Purchased in 2003, the key renovation concept was to design an overall lounge atmosphere. Squaw Creek uses the 630 series gaming chair-with a tufted back-and the 150 series chair for convenient sizing. "These are perfect for live entertainment, card playing and casual dining. Thanks to our outdoor pool, restaurant and renowned golf course, Squaw Creek has emerged as a summertime social hub. Gasser installed custom oversized booths and fixed counter stools that overlook the pool. Left outside, they even withstand harsh Ohio winters," says Allen. Avalon Links transformed the former historic 19th century Sharon Country Club into a new country club facility in 2008. The grand opening coincided with Allen's surprise 23rd birthday. She says, "I was working there and missed my own party. 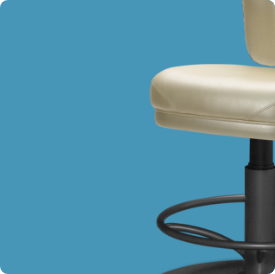 I later become a Banquet Manager and was first introduced to Gasser Chair during our 2013 remodel." Allen proudly describes Buhl Park's multiple diverse designs and options. To recreate a nostalgic feeling, Bogart's restaurant introduced a 'Rat Pack' theme. It used four rounded, tufted-backed black Naugahyde booths to showcase the space. To continue with a 1950s Las Vegas lounge theme, they furnished the remainder of Bogart's by combining a simple 4418 chair, a 4418X chair and the beautiful wing-backed/tufted black captain's chairs. 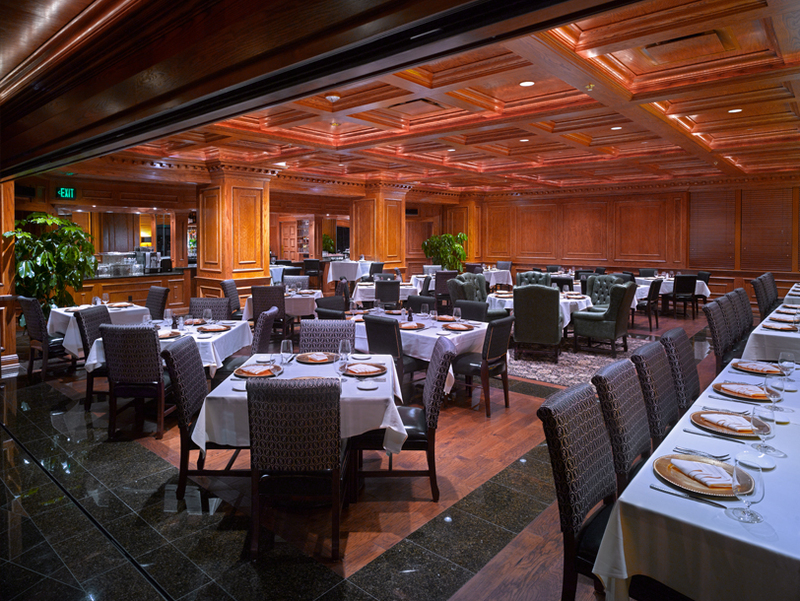 The more casual Havana Room restaurant's decor resembles a "traditional" men's grille room. It was furnished with the 630-series rolling chair, produced with a fabric/vinyl upholstery combination. Adjacent to the pro shop, the Havana Room has become a golfers' haven for golfers after completing the beautiful 18-hole golf course. Allen says the SE 8801-S10 series ballroom stacking chair is an "extraordinary complement" that maintains the mood. They chose black English pub Naugahyde chairs with a tufted back. 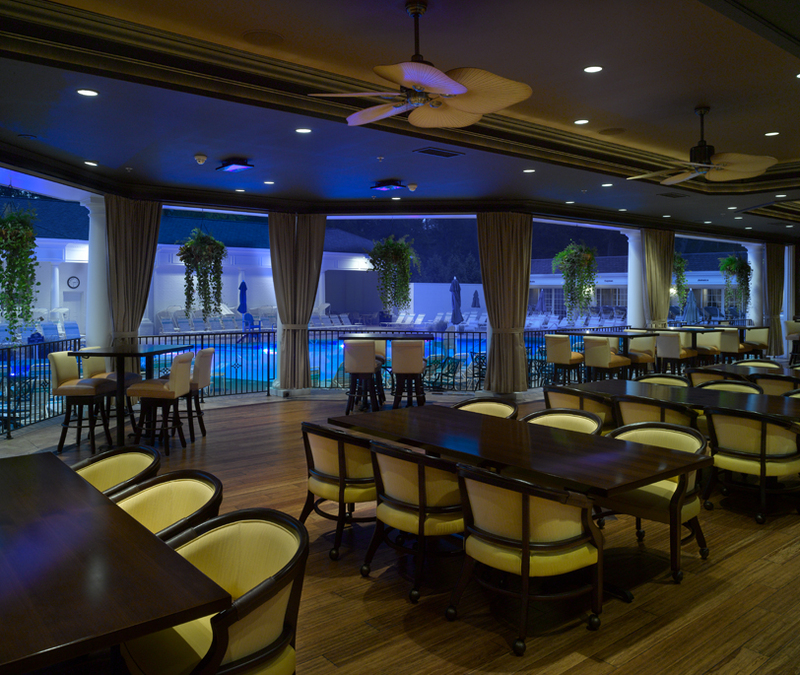 Largo's, the indoor outdoor poolside restaurant, underwent a remodel in 2014. As Allen's initial project, the renovation was her first opportunity to work with Gasser Chair sales rep Jim Humphries. 1950s Cuba inspired Klingle's design. The interior furnishings included intricate wood work, highlighted ceiling features, a remodeled bar and new draperies. "Above all else when entering, people first notice the chairs. Within that space, we installed four different model chairs-the 8250, 2104, 4481 and Baron 33 WDS-in a blend of linen colors, browns, tans and gold. The breathtaking end results attract everyone, especially on beautiful summer days," Allen states. Coordinating multiple purchasing at three locations proved challenging, but Allen praises the "unparalleled professionalism" from Gasser's well-trained and ambitious team. Each location required accurate records and Gasser simplified Avalon's ordering process. Allen describes the excitement on the day Gasser delivers the new chairs. She posts photos on Facebook and other social media sites to build the hype. Sarah’s entire crew eagerly waits to get a peek and unwrap the chairs. A few customers even show up to sit on the chairs before they go through the doors. Customers who are comfortable will stay longer and tend to return more often. When buying chairs, Allen and Klingle clearly recognize how their guests’ experiences dictate their choices. As it turns out for Allen, in the course of taking care of general maintenance and normal wear-and-tear repairs, she has occasional contact with Gasser Chair service department for upholstery and hardware components. My favorite follow-up occurs when the Gasser marketing team highlights our hard work. We are honored to be associated with and recognized by such a wonderful organization,” she says.